Whenever Harry Connick Jr.'s name popped up on the guest list for "The Late Show With David Letterman," Eric and Justin Stangel didn't worry about that night's show. The brothers — head writers for "The Late Show" for 17 years — knew that Connick was money as a guest. He was a favorite of Letterman's because he was funny, fearless, and fast on his feet. The New Orleans native proved a natural raconteur who could effortlessly roll with whatever Letterman tossed at him over 21 appearances between 1993 and 2014. 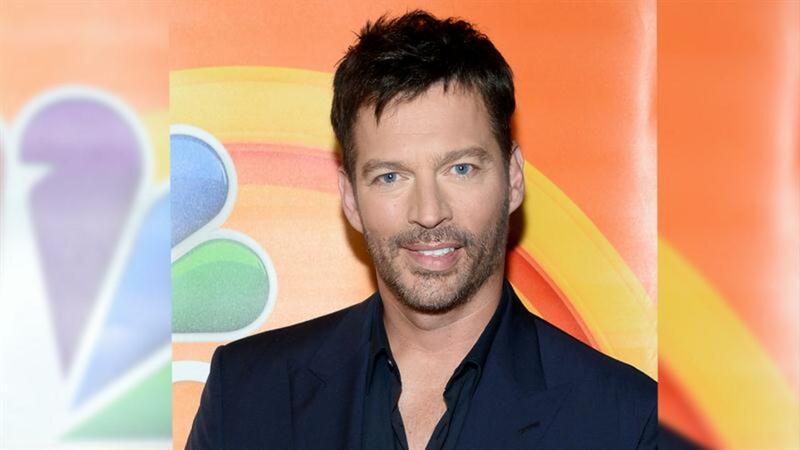 Starting Sept. 12, those qualities will get a workout from the other side of the desk when Connick debuts as host of "Harry," a syndicated daytime series that he promises will be unlike any other hour on television. The Stangel brothers developed the show with Connick, and the three share executive producer credit. In the estimation of one who knows what it takes to last as a TV host, Connick has the right stuff to make "Harry" a success. "I think you could put him anywhere on TV. He has enormous appeal," Letterman says, adding that Connick is "in good hands" with the Stangel brothers as his producers. Connick and the Stangels have ambitious plans for the show, from taped segments in the field to audience interaction to the modular details of a set designed to accommodate Connick's nine-piece touring band — the crew of jazz pros he has worked with for years. But as the new talk-show host sat in his still-undecorated office at the CBS Broadcast Center in New York on a recent morning, he offered as many ideas about what he doesn't want to do on "Harry" as what he does want to do. For starters, don't expect him to sing on every episode. "People would get tired of that real fast," he says. Connick will have celebrity guests — Sandra Bullock, Renée Zellweger, and Terrence Howard are among those lined up for the first week — but he won't have a star appear on every show. He doesn't want things to be too rehearsed with his guests, lest they lose the spontaneity that makes for good talk TV. He doesn't want to know too much about the other segments the Stangels are developing for him, because he wants to be surprised along with viewers when he's challenged to do, for example, a show-and-tell bit with kids. "We want Harry to discover as much as he can during the show. If he's seeing things unfold for the first time along with the audience, that will bring the energy." "We want Harry to discover as much as he can during the show — that's what connects him to the audience," says Eric Stangel. "If he's seeing things unfold for the first time along with the audience, that will bring the energy. Everything about this show is about playing to Harry's strengths to think and react on the spot." The TV show in many respects is an extension of Connick's concert act. For 30 years, he has crisscrossed the country with his big band, playing shows in which his storytelling and interaction with audience members is a key part of the act. The Stangels went on tour with him earlier this year, banking taped bits along the way. "From the West Coast of New York and the East Coast of California, there's a lot of country in between there," Connick says. "That's where I'm from. Those are the people I really enjoy talking to." With its variety-show mix of talk, music, and comedy, "Harry" is an unconventional play for daytime syndication, where traditional single-topic talkers and court shows typically rule. But the list of failed traditional talk shows has grown so long in recent years that NBCUniversal Domestic TV, which is distributing "Harry," and Fox Television Stations, which carry the show in New York, Los Angeles, and other major markets, were willing to roll the dice on the vision of a multiple Emmy- and Grammy-winning host (and Tony nominee) who has Southern charm to spare. The combo of Connick and the late-night training of the Stangel brothers ensures that "Harry" will not be "one of the 100 or so programs we've seen trying to copy Oprah Winfrey," Fox TV Stations senior VP Frank Cicha tells Variety. "He's fresh and different and will bring energy to daytime." "Harry," which will premiere the day after Connick's 49th birthday, marks the latest chapter of an eclectic career that has defied categorization. Born to a family of public servants — his father was the longtime district attorney of New Orleans, and his mother was a judge — Connick got his start in music at the age of 5. He was schooled in piano by legendary New Orleans musicians James Booker and Ellis Marsalis. He moved to New York at 18 and signed with Columbia Records the following year. His contributions to the soundtrack for "When Harry Met Sally" helped ignite his career as a musician and afforded him an entree to the film biz as an actor. In the 1990s, he logged prominent roles in films including "Little Man Tate," "Hope Floats," "Copycat," and "Independence Day." Connick's work in TV has ranged from musical specials to a three-year stint as an "American Idol" judge to recurring roles on NBC's "Will & Grace" and "Law & Order: SVU." Among other pursuits, he has tackled Broadway as a composer and had starring roles in the revivals of "The Pajama Game" (2006) and "On a Clear Day You Can See Forever" (2011). Colleagues say Connick is endowed with not only the natural talent but also the work ethic for the grind of hosting a daily talk show. "He's a pro," says "Will & Grace" co-creator Max Mutchnick. "I would work with him any day of the week under any circumstance. The guy does that thing that every writer wants to have happen when they put material in front of an actor — he makes it better. And he's a joy to be around." "Harry" offers Connick the chance to exert himself as a producer as well as a performer, in a vehicle that provides an opportunity for him to tap his many talents. Although he won't warble on every episode, he has written scads of original music for the band to perform, even coming in and out of commercial breaks. The plan is that the combo — with and without him — will play straight through the commercials "and if it's really going good when we come back," he says, "we'll just keep going." The Stangels are on board with the host's goal of keeping things loose and unpredictable. As if to prove the point, Connick jumped behind a keyboard to provide dramatic soundtrack music while the brothers were giving a set tour. Connick designed the set himself in exacting detail. He didn't want it to look like someone's living room; rather, his aim is to usher viewers into a nightclub where anyone might pop in. The Gotham setting was important to make it feel "like a destination for people who might not be able to afford a weekend in New York," he says. Brought together by their mutual agents at CAA, the Stangels and Connick started working together in 2013 on a sitcom project for Fox and Letterman's Worldwide Pants banner. The variety-show concept sprung from their conversations about what was missing from the TV landscape. They all share an affinity for the old-school variety hours fronted in the 1960s and '70s by Dean Martin and Mike Douglas. "This show is basically Harry's brain brought to life," Justin Stangel says. True to his improvisational roots, Connick hasn't spent a lot of time watching other daytime TV shows or studying interviewing techniques. He knows what he likes and what has worked for him on stage and in his countless TV appearances over the years. His biggest guiding principle: Be generous and allow the guest to shine. "There's nothing better than sitting in that seat and feeling celebrated," he says. "My name is already on the marquee. I don't need to make it about me." But, in fact, the rise or fall of "Harry" will inevitably be all about Connick and whether viewers accept his invitation to the party. After so many years on stages of all kinds, Connick asserts — without hubris — that he has no fear as the clock ticks down to launch day. "I know I'm going to screw stuff up. I know I'm going to make mistakes," he says. "Ultimately, when you have as much experience as I do performing, you know that the things that go wrong in a show many times are more memorable than the things that go right."